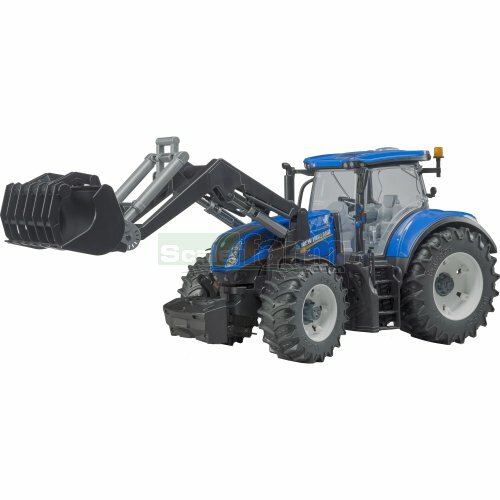 New Holland T7.315 tractor with original decal detail, enclosed cab with opening doors, bonnet opens, front suspension, front wheel steering, height-adjustable hitch, detachable front weight. Removable rear wheels, rolling wheels with authentic tread tyres. Front loader arm raises and lowers, bucket scoops and dumps.